Common law and statutory law, including Nebraska’s Uniform Trust Code, Neb. Rev. Stat. 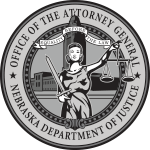 § 30-3801 et seq., give the Nebraska Attorney General’s Office authority to oversee charitable trusts in Nebraska. Among the many duties associated with this oversight is the requirement that the Attorney General’s Office receive notice in certain situations. Should you need to provide our office notice regarding a charitable trust matter, please complete the below form and upload requisite documents.